What The Heck's In It? Franks Fine Swine began producing jerky that could be eaten without the worry of "What the heck's in it?" We do not add salt or preservatives. All of the marinades we purchase are organic. We mix our own spice combinations so we know exactly what is in the product. We offer a top quality product with no injection, additives, or added salt while using only angus london broils and premium chicken breast meat. 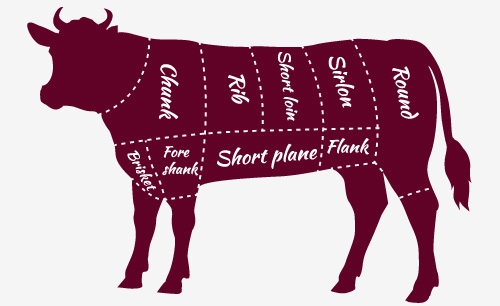 Our beef is Angus London Broil provided by a local butcher in Phoenixville, PA. Our chicken is breast meat only. Quality meats: nothing more, nothing less. We hand slice our meat, rather then using a mechanical slicer. This gives us the opportunity to trim as much fat as possible from the meat. Our meat is then marinated overnight for at least 8 hours. 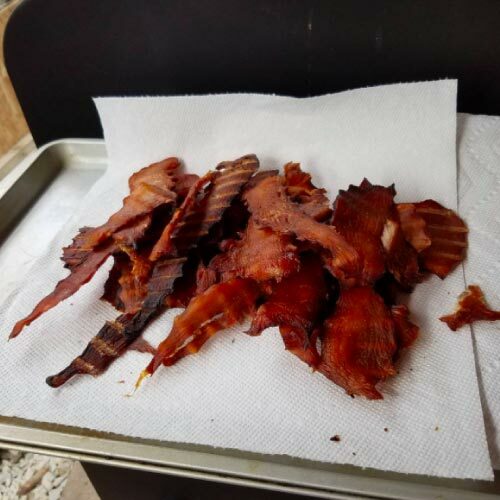 We do not add additional salt or preservatives to our seasonings or marinades, allowing you to actually taste the meat and flavors we have married into our jerky. 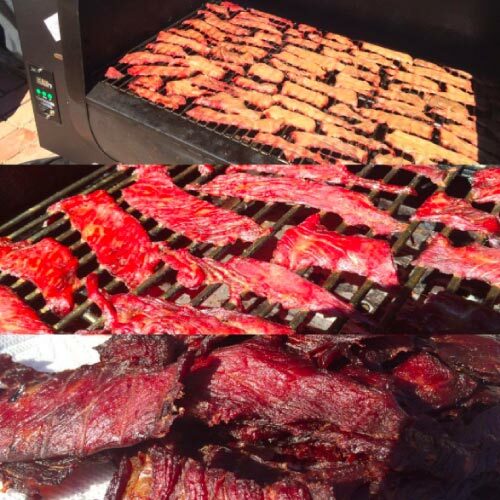 The smoking process takes 4-6 hours for each batch of jerky. 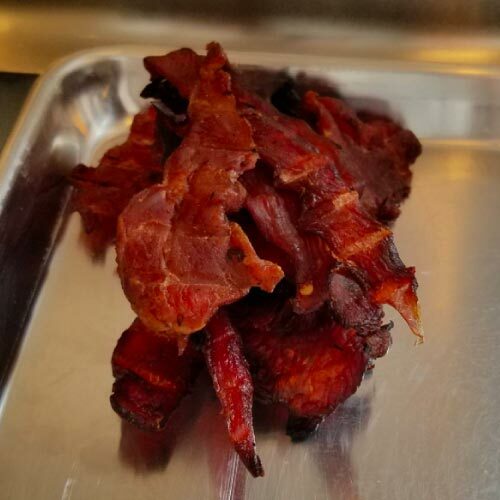 We do not use dehydrators or inject any flavors into our products, like most processed jerky. Our smoke is real and from our mix of wood, not some fake liquid smoke from a bottle. Veteran owned and operated by Frank & Juanita Coover. Our goal is to fully control our process from start to finish to ensure a quality product. We support and work with groups who support veterans and children. Make sure to stop by and say 'Hello!' at our next local event! The finest swine and beef in all of Pennsylvania.